So I don’t normally post on a Friday so here’s an extra post for you! 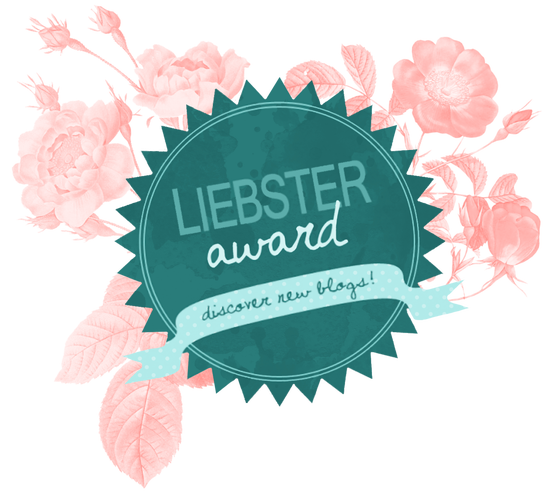 This is my first tag since I’ve been blogging as the lovely Lib over at livelaughlib nominated me for the Liebster Blogger Award which was so nice of her! Everyone should go check out her blog as she has some great content going on at the moment! You can see her tag here. -Acknowledge the blogger who nominated you. -Answer the 11 questions set by them. -Give 11 facts about yourself. -Set 11 questions for your nominees to answer. 1. If you could travel anywhere where would it be? I would definitely love to travel through South East Asia, I love the look of Laos, Cambodia, Thailand and Malaysia. 2. Who is your blogging inspiration? I absolutely love Anna over at The Anna Edit, her Youtube and Blog give me so much style and organisation inspiration, she just really seems to have her life together haha. Now this is a difficult one as I’m a bit of a Candle hoarder, but in winter it’s definitely Yankee Candle Christmas Memories and in Summer I like Yankee Candle’s Strawberry Butter Cream as its so sweet. I would love to do travel writing either for a blog/magazine/tour company. 6.What’s the next thing you intend to purchase? I’ve had my eye on a pair of Cheap Monday Dungarees on asos for a while so maybe those if I want to treat myself as they will go with everything. 7.Where do you intend to go with your blog? Hopefully I will be able to gain a larger following so I can interact with other fellow bloggers as they are so inspiring. I also hope to be able to travel more to share some more of my adventures. 8.If you could only eat one foo for the rest of your life what would that be? Pasta. Pasta is love, Pasta is life. 9. Summer or Winter Fashion? Winter- I dress for Winter even in Summer. I think it’s a stupid idea- I won’t say anymore it makes me angry. 11. Are you sticking to any goals you set this year? I think I’m doing well so far, I’ve been drinking more water, using up more products before I buy more and am generally trying to be nicer. I’ve also managed 3/4 weeks with no chocolate on my Dechox. I am obsessed with elephants, my room is full of them in some way shape or form. I was (still am) obsessed with Harry Potter for my entire childhood, I wanted to be Hermione. I hate Rays, they scare me and I have no idea why. I’ve been to Leeds Festival for the weekend 3 years on the trot and I think I’m about to break the tradition this year. My everyday favourite perfume is Daisy by Marc Jacobs. I have never dyed my hair. I have to write lists for absolutely everything or I will forget about it. My favourite venue for nights out/ live music is Leadmill in Sheffield. Unfortunately everybody that I want to nominate has either already been nominated or has over 200 wordpress followers! So here are my top 3 blogs to read at the moment, go check them out and share the love! jennyflorenceee She posts amazing blogs about her time travelling in Thailand Malaysia, she also has a vlogging channel on Youtube! misselizabethshannon.com She posts great content on lifestyle, beauty and most importantly tea! rachaellouisebeauty She posts great reviews and favourites posts on loads of different beauty products which are really helpful to read before you consider buying an item. What is your top blogging tip? Who are your favourite band/ artist? You can only take on beauty product with you to a desert island, what is it? Who is the person that most inspires you? Hopefully this post wasn’t too long winded! I want to say a big thank you yet again to Lib for the nomination, you made me feel like my blog is actually worth my time and effort so Thankyou!! Anybody that wants to join in the tag can do so and it’s a great opportunity to find new blogs to follow! It really is I never get bored of it!